Oh, wait a minute... Star Wars debuted in 1977. 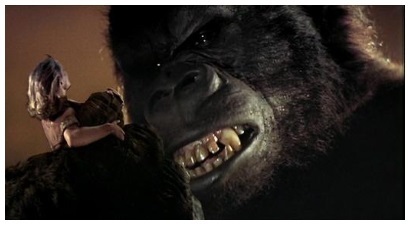 In 1976, we got the Dino De Laurentiis remake of King Kong, the film that did absolutely nothing for the industry, special effects, or the public's gas shortage-ravaged attitudes. Come join Kevin Lauderdale, Orenthal Hawkins, Andrea Lipinski, and Dan Persons as they delve deep into this gorilla-shaped turkey, and try to get the world's biggest monkey off their backs.